It’s no secret that kids don’t always have what’s best for their teeth at the forefront of their minds – which can lead to a toothache for them and a headache for parents. Between eating too much sugar, not brushing and flossing enough, and skipping brushings, kids run a high risk of cavities and oral health issues. But have no fear! Here is a list of classic mistakes parents make when it comes to oral health, and tips on how you can avoid them. While it might feel easier to send them to the bathroom alone to brush their teeth before bed, a little parental supervision can save time and money in the long run. Kids are brushing their teeth, especially those new to the habit, need pointers, and kids younger than 8 actually lack the motor skills necessary to brush effectively. Tip: Make brushing part of your family routine. Try to have everyone brush together before a group activity like story time. This is a great way to watch your kids brush while getting some family time with them before bed. It also helps that they will see you brushing at the same time so that they can pick up tips from you. 2.Not taking regular trips to the dentist. Kids need to visit the dentist regularly just like adults do. The trick to starting your child off on the right foot when it comes to oral health is to schedule the first dentist appointment early. If you don’t start bringing your child to the dentist until they are 2 or 3 years old, they are more likely to have a myriad of unaddressed oral health issues, potentially making the visit more difficult for both you and your child. Tip: The first trip to the dentist should happen six months after the eruption of their first tooth. This is ideal timing because it allows for early detection of any oral health issues. If you wait until they are 2 years old to bring them to the dentist, they may already have decay and cavities. If their first trip is filled with pain and bad news, your child is more likely to have ongoing fear and anxiety around dental visits. By starting early, you’re encouraging a positive and happy association with the dentist’s office for your child. Not only does the American Dental Association recommend fluoride – studies show that it is the best way to prevent cavities, so take advantage of it! However, families who drink a lot of bottled water or don’t use a fluoride toothpaste may be missing out on the benefits. Tip: Talk to your dentist about how much fluoride your child needs to keep them cavity-free and which toothpastes may be right for them. 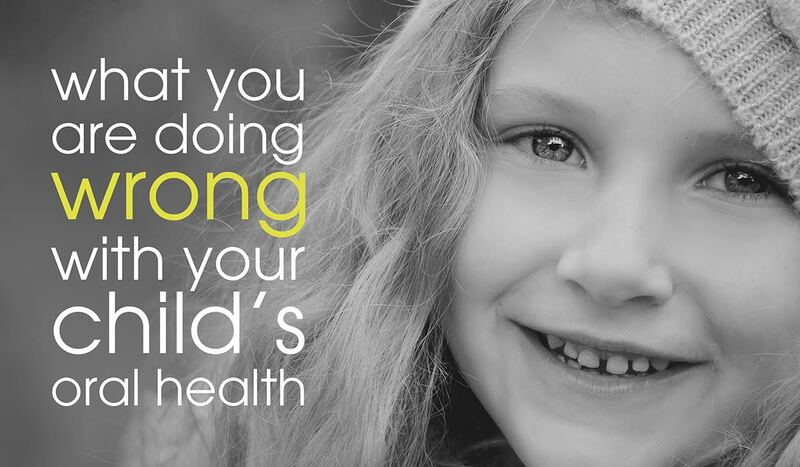 The best thing parents can do for their children’s oral health to start healthy habits early. Just like healthy eating or exercise, good oral hygiene can become second nature with a little practice!